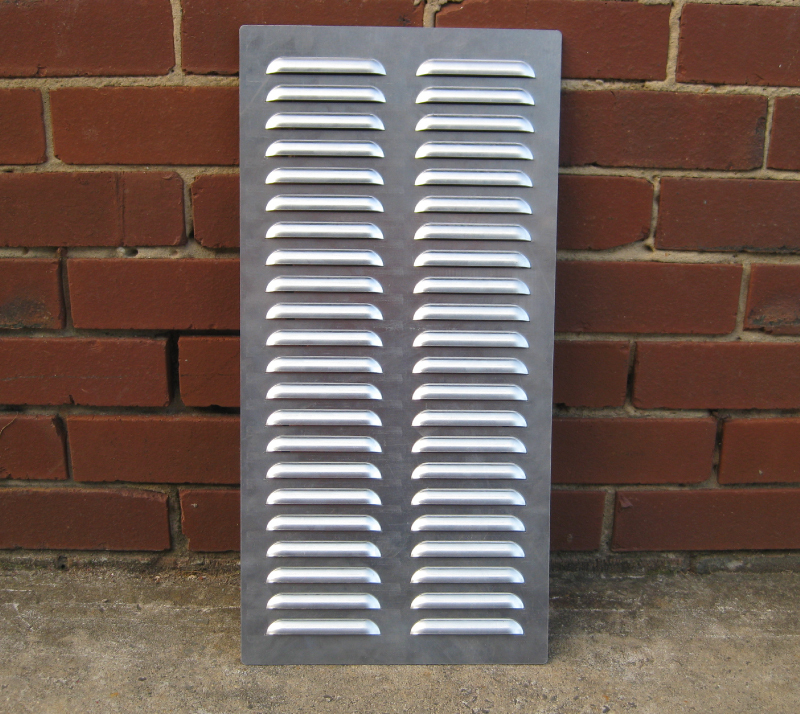 We manufacture and supply louvers suitable for caravan ventilation. 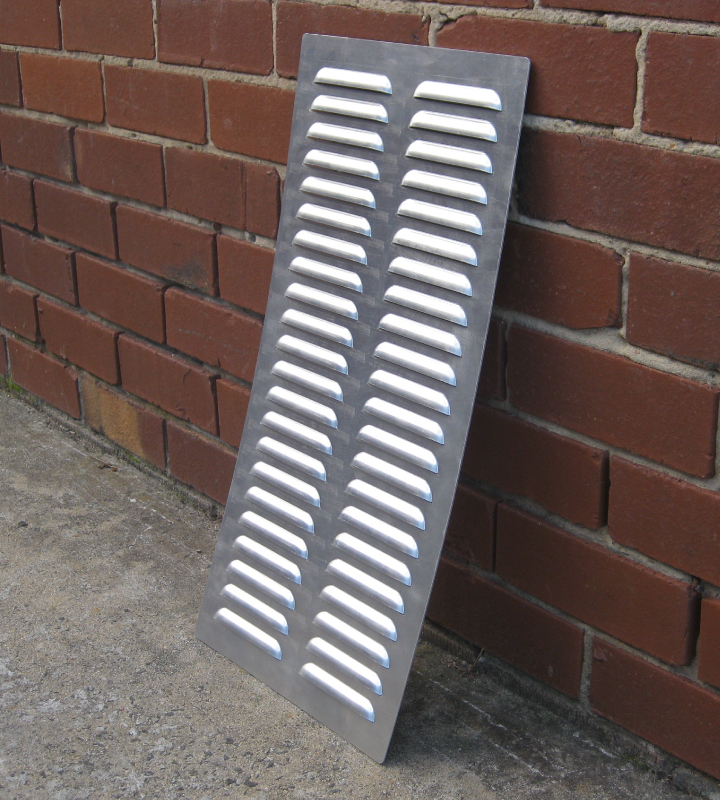 This example below shows a 300mm wide x 610mm high louver panel with twin rows of 22 louvers which are each 110mm wide and 15mm high. 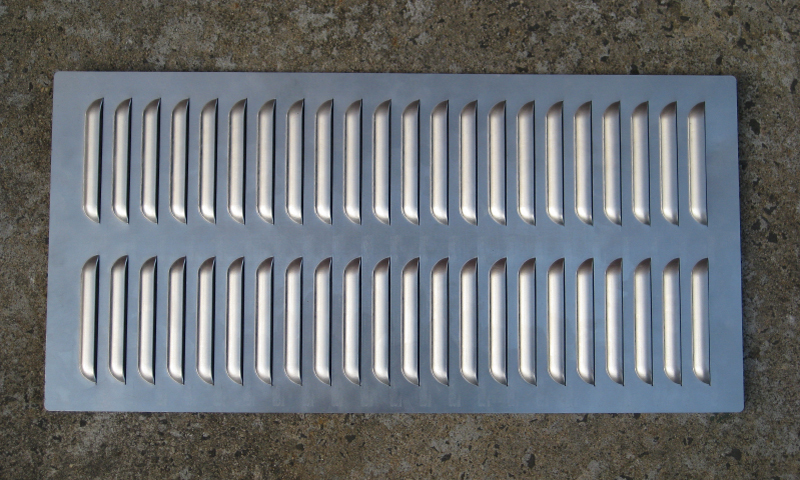 Made from 1.5mm aluminium.